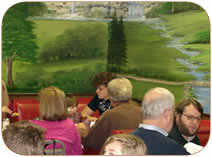 The Dutch Market Restaurant features a full breakfast, lunch and dinner menu. This menu is prepared using traditional PA Dutch recipes, which have been handed down through the generations by the Amish, carrying that ‘old-fashioned home-cooked taste’. Are you hungry for that down-home country breakfast? Your appetite will not be disappointed here. 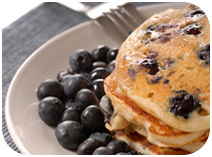 Come try our breakfast of eggs, homemade toast and jam, scrabble, oatmeal, Large Pancakes…and much more. This has got to be the best breakfast on the bay! Come in for a quick lunch at the counter, or sit down for a full-course meal. You will enjoy our mashed potatoes, homemade right here at the restaurant using real potatoes. Order from our large menu of home-style dishes. 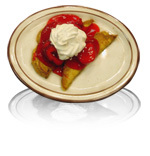 Before you go, don’t forget to try one of our home-baked desserts. Come to the restaurant and enjoy a meal before you shop at the market. Take outs are also available. ©2009 PA Dutch Farmers Market. All rights reserved. WebTek Web Design.